That feeling like you're meant for something more. That feeling that there's greatness trapped inside of you. That feeling like you're Going to Explode if you don't start doing something important with your life. You see, we're not normal. Normal is sitting on the couch and watching TV, all the time. We're the ones that Yearn for something better! We're the ones that are needed to move the world forward! And does it EVEN MATTER?! Won't we have a happy life without a life goal? A recently released 40 year ground-breaking study by Mihaly Csikszentmihalyi shows us the true power of living our bucket list life. Those WITHOUT a challenging life goal rarely recovered. They descended into depression, poor health and even suicide. were able to recover themselves and lead a relatively normal life. They literally had something to live for. Study after study confirms the same conclusion. Live Longer, Happier and Healthier Lives. Mihaly also found what he calls the Secret to Happiness. 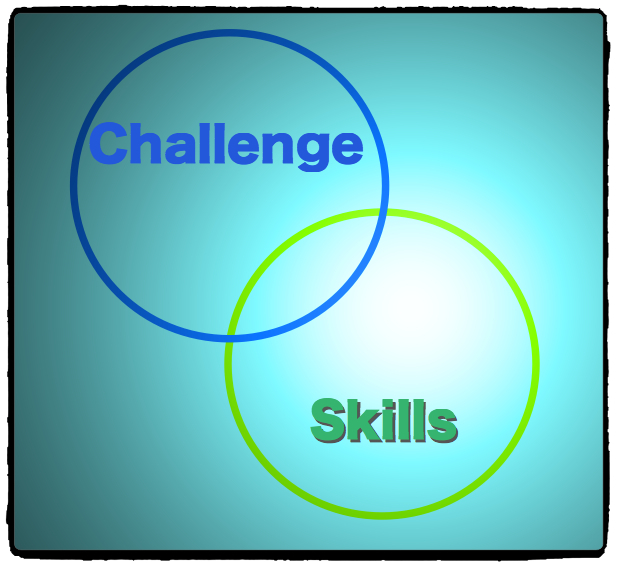 When people focused their skills on their challenging goal, they would often enter a state he termed FLOW. Flow is that mental state of being "completely involved in an activity for its own sake. Every action, movement, and thought follows inevitably from the previous one, like playing jazz. Mihaly's research shows that finding a challenging life goal that calls heavily on your skills is the secret to having a happy life. A ship without direction will never leave the harbor. "But HOW do I find it?!" Some people are born to their purpose. They naturally know what they should do with their lives. But most, need help figuring it all out. Luckily, some really smart people have been working on it for us. Sir Ken Robinson has the most viewed video on TED... By a lot! He's laid out a roadmap for finding your Element. He defines the Element as where your natural strengths join up with the things you love to do. He's documented how living in your Element brings you a Better, Happier, more Successful Life. I just used StrengthsFinder 2.0. Pretty impressed, I must say. Here’s a look at my 5 biggest strengths. Is it important to do what you love? Don't die with that regret! Find the True You and start living more of your passions today! The Element teaches us in order to live a great life we need to find the place where our natural strengths combine with the things we love. But what if our Element is too easy to be fulfilling? I may LOVE to write poems and have true skills, but if I only write one poem a month to my pet, my passion is lacking challenge and therefore easily quelled. Flow teaches us the secret to happiness is open to us when we highly challenge our best skills. But what if I don't like my Flow? I might be really good at Accounting and tax season would be challenging for me, but if I HATE working with numbers and need human interaction to be happy, then my Flow would be a bummer. By combining the two powerful ideas, we arrive at a wonderful place. The intersection of all three is where you'll find your Bucket Life Bliss! What do you think your Bucket List Bliss might be? I want to know!!! Tell me Below! Here are some more resources that I hope help! Be a Samurai, NOT a Rice Picker! RISE UP to Your Bucket Life!